With engine switched off, and nobody around, 60006 Great Gable stands on the newly laid down relief at Circourt Bridge, Denchworth on 28 March 1993, after working down from Mountsorrel the previous day with a Redland stone train. 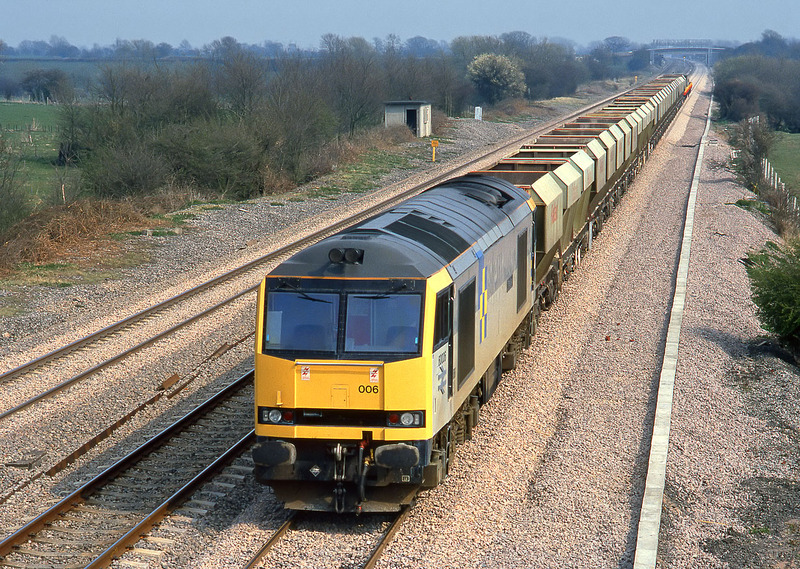 Presumably later in the day it would drop ballast somewhere along the new line. It was extremely fortunate that it was parked exactly in the right place for a photo from the bridge!